Events | June Archer - Motivational Teacher, Author, Entrepreneur: Change Your Perspective; Change Your Life! The 100 Men of Color Black Tie Gala & Awards recognizes the contributions that these men of color in business, education, entrepreneurship, government, entertainment, service and the impact they have made on the lives of people throughout the State of Connecticut and Western Massachusetts communities. Our goal is to provide financial support for programs that support the advancement of young men of color. A portion of the proceeds from this annual event will support scholarships for young men who graduate from high school and plan on attending College, male leadership and mentorship programs. On this day, we believe these individuals should be honored for their achievements and celebrated for their accomplishments, along with their family, friends and support networks. The 100 Women of Color Gala & Awards will celebrate the power of Family, Friends and the Community as we honor the past, present and the future. This gala will recognize the contributions that Women in business, education, entrepreneurship, entertainment and service have made to impact the lives of those throughout their communities from Stamford, CT to Springfield, MA. With your support our non-profit, Concerned Citizens For Humanity (501C3) will have the opportunity to support programs and scholarships for the advancement of young Women of Color. Your contribution would also allow us to promote healthy living for Women and to support organizations that need funding for Cervical and Breast Cancer research. June Archer, Eleven28 Entertainment and A&G Insurance present Hot Chocolate Soul! Hot Chocolate Soul is a delicate balance of Music, Comedy & Poetry with a live band featuring Karl Browne’s Smooth Improvisation. Serving as a sponsor of the New England Music Seminar grants your company access to several influential executives throughout the entertainment industry. Eleven28's sponsorship packages are accentuated by an annual record of investment return, powerful networking, and major media coverage. 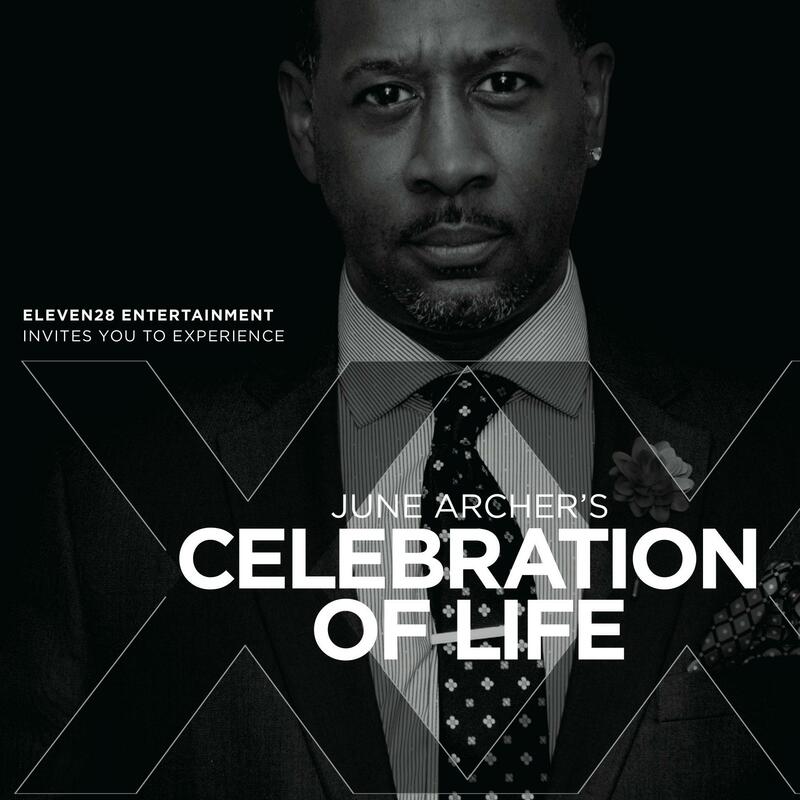 Junde Archer's birthday celebration and benefit.